According to history, 17th century was the inception of Christmas lights. It is part of Christian traditions that has strongly withstood time. The custom goes back to when Christmas trees were decorated with candles. The candles symbolized Christ as the light of the world. The Christmas trees that were displayed publicly and illuminated with electric lights became popular in the early 20th century. Then the display of Christmas decorations with lights progressed from then on. We can see different beautiful displays outdoors every Christmas. Outdoor Christmas light displays on houses was stemmed from the trend of lighting up Christmas trees during the Christmas season. It is one of our favorite thing to do during Christmas, we take our children for a drive around the neighborhood and enjoy the different Christmas lights displayed by homeowners. There's even a Winter Festival of Lights in Ogle Bay in Wheeling West Virginia, it's a beautiful display to witness. My husband gave me an early Christmas gift, a Canon Rebel T6 camera set and thought it would be great to try it outside and capture some photos of the outdoor Christmas lights. Our theme with our lights this year was red, white, and blue. We bought most of these lights during the end of season sale last year. The nativity scene was the new addition to our outdoor display. Our neighbor's yard was all lit up too. I always love the maikn display of lights in our small city of Weirton. Downtown posts has snowflakes and angels light displays. I always enjoy decorating for Christmas. We always start doing it early in November. You might think that's overboard but I do that so we can enjoy the displays longer. Putting out the decorations takes a lot of time so I want to enjoy it as long as I can. We have one more week left before we take down all the decors. Taking down the outdoor lights would be a bit harder since the weather is getting frigid! “Mom’s don’t enjoy, they give joy”. These words highlight how parenting culture has shifted, focusing more on mothering than motherhood. Because of this change, today’s parents view successful child-rearing as a task. This means we can do more for our kids and families. And if there’s one time of year when we feel responsible to provide happiness for everyone, it’s the holiday season. There’s nothing like the holidays to highlight not only our children’s manners but also our family values. Every Christmas, parents strive to make holiday season memorable for their children. They start shopping after Halloween. Before Thanksgiving, they organize festive activities for the holiday season. Yet, in the middle of “giving joy”, holidays become stressful. Because like many mothers, taking care of everything and everyone leaves them exhausted. As mothers, it can be difficult to manage everything from self-care to family responsibilities. And as research backs it, the mothers can face burnout. Burnout can affect one’s emotional and physical well-being, causing feelings of inadequacy, resent and detachment from family and work life. In this situation, children suffer the most. How can parents avoid burnout during the holidays? · Know where your kids are heading – During holidays, your school going children meet kids with all sorts of different ideas about the holidays. You can encourage them to talk to their friends and learn about their practices. Then help them to figure out your family values and traditions. You can do all this without even being around them. The app will help you track your kid’s location. It will give you real-time location of where they are heading to. A research by Parenting Research Centre says that more than a quarter of parents of teens said they were not aware of where their children were at all times. This is worrying especially during the holiday season, but the app can give you complete location history of your kid’s musings even if you have been busy all day. During all the busyness of holidays, you do not want to be preoccupied with your kid’s every move yet you cannot allow your teens to visit certain places that can be harmful to them. For this, the cellphone parental monitoring software allows you to monitor specific locations through its ‘Geofencing’ feature. This allows you to set boundaries around certain locations and you are instantly notified if your kid enters any restricted location. · Limit their screen time: According to a Parenting Research Centre survey, another challenging issue for 70 percent of parents of teenagers is the time their children spend on devices. Children spend too much of their time on games and other applications. No wonder you would be planning to gift a new smartphone to your teen this Christmas Eve, but these devices come with their downsides. Holidays are meant to be spent with family and closed ones. Even if your kid is spending the time to find Christmas gifts online or downloading new games, you need to check it as they squander this beautiful time of being together. So cellphone parental monitoring software allows you to see a complete list of the apps being used by your children. You can remotely lock their cell phone if you find them wasting their time on games or apps. This will spare that valuable time and you would be able to enjoy memorable moments. · Monitor their online activity: Experts warn that as children return home for holidays, parents should be on the lookout for what their children do when using the internet. The number of young children misusing internet is growing with the increase in technological advancements. During holidays, there are many fake offers on the internet and even strangers can trick your child with a veiled offer. Your kid may end up ruining his/her holidays due to a malicious online add. The cellphone parental monitoring software allows you to monitor their emails. You can see all the sent and received emails. You can see which sites are they visiting and how many times have they visited a site. Besides, you can see their chats on the Facebook, WhatsApp, Skype, Tinder, and Kik messenger. Keeping their use in mind, you can block any app remotely using the app. In the midst of the holiday chaos, it’s easy to overlook how stress affects children. But getting distracted, running around frantically and neglecting self-care may communicate to kids that celebrations are burdensome and make us miserable. The cellphone parental monitoring software relieves this stress during the holiday season. Sometimes, imagining setting limits around how much we do and spend during the season causes our guilt to arise. We may feel like saying no, believing we’re ruining our children’s fun. But letting go of holiday outcomes by adopting a mindful mindset, focusing on moment-to-moment awareness, can help us remain grounded. When we bought our second home, we knew that we will have to do a lot of renovations and home improvement because the house is old and a lot of its interior and exterior features are outdated. We had new windows installed in January and it really helped with the energy cost and blocking the noise from outside. We loved it because now that it is winter, the house is warm and comfortable. Mind you, we have 31 windows in this house so it cost a lot but it is worth to have it done because in the long run, it improves the value of the house and the quality of life we have living in it. The major project we did this year also includes the backyard fence that we installed ourselves. We did not have the money to hire a contractor for it but we got it done for half the cost so it is a major plus for us. We love our backyard now because we can let the dogs and the rabbits out without worrying about them running away. I also love the fact that I don't have to worry about the neighbor staring when I am at the backyard gardening. Anyway, this late August, we decided to have our front door done. We were going to try to do it ourselves but we agreed to have professional do it since it is something that would be hard to fix if we miss it up. It cost more to hire someone to do it but we wanted to make sure that it is done right. We hired West Shore to do it. We chose this 36x80 legacy steel door with two panels 440 style inspiration lily. The interior color is snow mist white while the exterior is Valles red. We picked the aged bronze Addison grip entrance handle and accent. This cost $8,221. We made the order in August 28 but they have to custom order the door from a company in Ohio called Provia. The door wasn't installed until November 14. The company where they ordered the door was familiar to us because we always see it when we go to the Amish store. It took the installers five hours to complete the installation. They were really good in what they do. I think if my husband and I tried to do this ourselves, it would have took us a month lol. I love it now that we have a new door because there is a lot of natural light coming in the entrance door unlike the old one that we had. We had a solid oak wooden door before and it was great but it was old and it wouldn't lock anymore especially during winter. The storm door was also busted so we figured to have it done and have a new one. We kept the old door though. Hubby and I are planning to use it in the garage side door. The casing that they put around the door kind of hidden some of the letters on our wall decal but it's okay. Before I talk about our Christmas decor, I would like to thank West Shore for a job well done. They are a family-oriented company. The guy who sold us the door even came during the installation to make sure that the project will go smoothly. I think it is nice when a company truly cares for their customers. On decorating for Christmas, I always do it early. My daughter was actually the one who kept bugging me to start decorating already. I don't really decorate for Thanksgiving so we decorate for Christmas early so we could enjoy it longer. The kids did a great job decorating the tree. Our tree is a rotating one but we don't really make it rotate because when we do, our dogs go bonkers lol. Pine cones are the best to use if you are looking for natural and inexpensive decor. My daughter and I painted these pine cones few years ago and has been using it since. We used to have a crab apple in the front lawn but we chopped it down this summer, by doing that we don't have a big tree to put these balls anymore so I hanged them by the picture window. This is a snowmen village that I put together last year. They are very small to hang in the big tree so I thought of putting all of them together and make one piece of snowmen decor. Her music corner is also decorated. The former owner left us this white Christmas tree so we set it upstairs . We also decorated the railing with bells and garland. I am almost done decorating for this year. All I need to do is hang some Christmas lights around the fireplace and some lights outside and I am done. How about you, did yo]u start decorating yet? I know Thanksgiving is a big tradition in most American families so I am guessing some of you might wait till after Thanksgiving day. I wish you all a happy Thanksgiving and may our holidays be peaceful and full of joy. There are some pretty big misconceptions surrounding having children. All the time, you hear that they’re going to cost you all the money you have; that you’ll seldom have a free moment with your partner; and that you have to give up the things you love, and especially travelling. None of these, however, and fortunately, are true. There are no set rules when it comes to children, and if you want to travel then you can! Below, we take a look at the best ways for having memorable, frequent travelling experiences even after you’re a parent. Everything begins with attitude. If you go into something thinking that you’re likely to fail, then guess what? You’ll probably fail! On the other hand, if you begin a journey knowing it’ll succeed, then the battle is already half won. This is especially relevant to frequently travelling with children, as there’ll be plenty of opposing voices telling you that it’s not possible. Ignore those voices, and find your way to make your dreams come true. Remember, there are no absolute rules in life other than the ones we make for ourselves. When you first think about travelling with children, it’s important to start small. And by that, we mean really small, doing things like travelling to the zoo for a day out. Eventually, you can build your family up to overnight stays at nearby destinations and then think about going on longer trips. It’s all about getting into the routine of moving around together as a clan. Once your kids understand what is expected of them when it comes to travelling, then you’ll be able to think about returning to the type of adventures you used to take when it was just you and your partner. Have a recap of all the travel experiences you and your partner had before you decided to have children. Now be honest: how many of them were fully appropriate for children? If you’ve lived life to the full, then probably not all that many! As such, you’re going to need to adjust your travelling style if you want to continue seeing the world with your little ones in tow. You won’t be able to spend long nights wandering a foreign city in search of adventure; you’ll have to find new ways of travelling to ensure all of your family’s needs are met. It’s not always easy to plan family vacations, especially when it comes to travelling further afield. Because of all the planning that’s involved, these types of journeys usually get delayed and delayed, until they eventually just don’t happen. A good way to combat this is to buy a property overseas, which can then be used as a base for your travelling. Keep an eye on HDB BTO launches in Singapore, for instance, and you can buy a property that’ll give you easy access to the rest of Asia. And as well as cheap flights to Bangkok and Bali, you’ll also have the ability to build a passive rental income (which can go straight into the travelling pot!). There’s no denying that travelling can be expensive, but it’s usually relatively straightforward to keep the costs down if it’s just a couple that’s travelling. When there are no children involved, it’s no problem to spend a night in a rundown hostel or to hitchhike from one destination to the next. But of course, you won’t want to be doing these things all the time when you have children! However, there are ways to keep the costs down when it comes to travelling. One, like mentioned above, is to have a vacation home, which will cut out most accommodation costs. You should also make the most of any free events and activities that take place at your destination. You’re a mother or a father, a husband or a wife, but you’re still an individual. Just because you’re part of a bigger clan, that doesn’t mean that you need to stop growing as a person. And of course, one of the best ways to grow is to travel alone. While you won’t be able to go away by yourself regularly, if there’s one travelling experience that you’ve always wanted to do, but which is either too expensive or unsuitable for the whole family, then you shouldn’t feel bad about pursuing it alone. A big part of travelling is stepping outside of your comfort zone and trying new things. This shouldn’t change just because you have children, though how you’re pushing yourself might. Though you’ve got to make sure that everyone’s well looked after and so on, you should always find ways for your family to be challenged. Doing so will help bring you closer together as a family. Nothing unites people like being outside of their comfort zones! In today’s digital world, there are more resources than ever before when it comes to travelling. If it’s a new experience that you’re looking for, take a look at volunteer systems like those offered on Workaway and HelpX. These sites connect people around the world who need labor (usually easy work), in return for accommodation and food. You could take your family on a wild adventure where you live with another family and learn new skills. And best of all, it’s wallet-friendly; indeed, you’ll likely spend no money whatsoever. There are many challenges to travelling with young children, but none more difficult - not to mention potentially dangerous - than not having the right equipment. Luckily, there are plenty of baby and small child travelling equipment that’ll make looking after your little ones all the more straightforward when you’re on the road. And talking about straightforward travelling, remember that you’ll always have the ability to make it easier for yourself. Children, even the ones who are usually well-behaved, can become irritated when they’re travelling. As such, make sure you have plenty of games and snacks with you. If you’re taking the family on an epic road trip, then install a DVD player into the back of the headsets. When there’s no view to speak of, it’ll help keep your children quiet. It’s understandable that parents think twice about travelling when they have children. After all, it’s not the thing that parents usually do, is it? But remember, there’s a bigger picture at play, one that says that travel is good for the soul, no matter where you’re going or who you’re with. While your travelling style will need to change, you’ll create a whole new - better - way of exploring the earth with your loved ones, if you get out there and try it! Getting a good night’s rest helps me to wake up feeling healthy and happy. If you’re not resting on a suitable supportive base, you’ll often get restless nights and painful mornings. Of course, some mattresses are more expensive than others. Therefore, I recommend that you take your time in picking the one that’s worth your investment. I love looking at the type of mattress before I make any purchase. It’s good to ensure that you get the product that fits right into your needs. So, here’s a list of all the categories of mattresses you’ll find out there. They are also referred to as continuous or open coil mattresses. They come with a long wire that’s coiled into several springs. I also found that there’s an additional border wire or rod that provides more shape and structure. I love that the sides are all machine-stitched instead of hand-stitched, making them lighter and simpler to turn. I had these mattresses in the guest house where they are only used on occasion. I did so because I learned that they were less supportive as compared to other products. Either way, they are some of the most impressive mattresses that I’ve come across! As I went through various Try Mattress reviews, I discovered that most people today prefer luxurious mattresses. Well, they come with exciting designs and they are made from small, individual springs found in their pocket fabrics. Such helps them to move independently, offering better support than the open spring versions. You can get them in the firm, medium or soft versions but this depends on your tastes. Besides, it’s easy to breathe when sleeping on these mattresses. Not even latex or memory foam comes with such an important feature! Okay, this is my best type of mattresses! Why? Well, they are made from a mouldable kind of material that responds according to changes in weight and temperature. They relieve pressure on all your joints, absorb weight and most importantly, they’ll only mold according to the shape of your body. At first, I didn’t like the sinking properties of these brands of mattresses. They also get quite warm, especially during the night. Even so, they are good for relieving back pains and relaxing tense body muscles. These products are created using latex foam, which is a comfortable and breathable type of material. If you hate feeling like you are overheating during the night, these are the best types of mattresses. I bought one for my son over three years ago, and I’ve not yet replaced it! So, it’s quite long lasting, and you should expect it to serve you for several years. The only discouraging factor that I saw is that they form dents and lumps over time because they do not turn quickly. 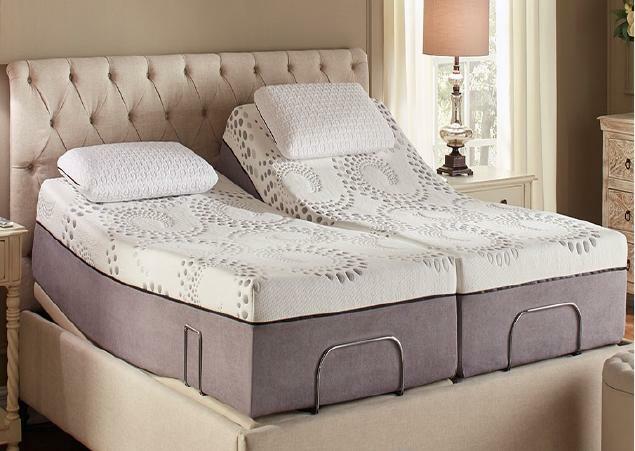 Getting the best mattress for you and your family is not hard at all. I know there are other factors that you’ll also need to look into, for example, the size and going through customer reviews. But I like advising all interested mattress shoppers to consider the type of mattress first before looking at any other feature! Choosing the right home to fit the way you live your life can be tough, there are so many different considerations to take into account: from where you work, the style of home you prefer and even the number of things you own. It all boils down to careful planning and looking at all of your options equally. The first factor to take into account when looking for the ideal home is the type of property you want to move into. You might want to find a quaint cottage by the river in the country, or perhaps you’d prefer to look for fully furnished condos for rent. Everyone has a different opinion on what makes the perfect home; and really, the perfect home is one which fulfils all of your needs and wishes. Cottages are usually characterised by low ceilings, chunky walls and a rustic feel, many cottages also have thatched rooves. If you want a quiet place to live in a semi-rural or rural area, this kind of property is a great choice. The only drawback with cottages is that they are often small and lack that extra space you need to store a lot of items, so this is maybe not recommended for growing families, but is a great option for couples. Detached houses are usually more expensive than other alternatives because they are freestanding and do not join to any other properties. They tend to be large, very well-spaced out and totally private for those of you who enjoy the peace and serenity of being away from the world. This type of house is ideal for families. A terrace is a row of houses all connected to each other, the end of terrace home is the final home in the row. The great thing about end of terraces is that they are usually larger than the other houses in the row, and they will often feature a wrap-around garden space. A flat is a small, single storey home which is usually situated in a communal building along with many others. They are generally small, modern and sometimes will be fully furnished when you move in. This is a great property for individuals and also for those who work in the city centre and need a simple commute to work. A semi-detached home is a pair of houses which are joined in the middle by one wall. These are the most common type of home to buy because they offer a little privacy as well as being affordable. They will usually have a spacious garden area too, which is great for raising kids. Once you’ve delved into the types of property which are out there, you can start to explore other things too. One of the major things you need to consider when looking to purchase a new home is where you will live. Think about where you currently work and decide how easy it will be to get there from where you plan to move. If you drive, make sure that it doesn’t take you any more than an hour each way, and if you are using public transport- you’ll want to make sure that there is a fairly direct route for you to take to and from work. One thing that you will definitely need to assess if you are moving into an area you aren’t familiar with is what kind of amenities will be available to you. If you have to drive for 40 minutes just to reach a shop to buy a loaf of bread, it probably isn’t the right place for you to be. Search google maps for shops and other amenities in the area to make sure that you won’t be stranded if you suddenly need to nip out for something in the evening. As well as checking for the essentials, you will also want to take a look at what kind of things you can do for fun in the area you move to. If you enjoy being in the city centre and going for night’s out with your friends, then you will want to make sure that it is easy enough to get there on your days off. Then you may want to look at if there are any restaurants in the local area, also look out for whether there are any parks or outdoor areas for a relaxing walk at the weekend. You want to make sure that you live in a place where you can access things easily, it will make your life much happier. Once you have decided the type of home, the area and the features you want in the home, you will need to look at your budget. It will be unrealistic to hope for a 5 bed Victorian mansion if only one of you works full time. Consider talking to your mortgage advisor to decide the best options for you, and even once you’ve had the offer and application accepted, you will need to think about extra costs such as bills and insurance. Make sure that you can afford to buy a home in the first place.